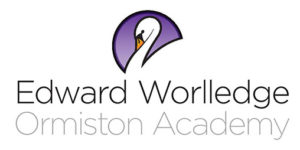 Edward Worlledge Ormiston Academy is a community academy, operating under Ormiston Academy Trust. The school uses online programmes to enable learning at home and encourage pupils’ learning beyond the classroom. English is a key focus and LiteracyPlanet has all the aspects teachers need. The school uses LiteracyPlanet to support learning and teaching across various literacy areas in particular spelling, reading, vocabulary and grammar. Aspects of LiteracyPlanet that teachers enjoy the most include the broad range of exercises to choose from, being able to lock in exercises for pupils to complete before they can access free choice activities, the Quick Assign feature to allocate tasks to individuals and groups, and the quick overview of the Dashboard to see weekly activity. Pupils especially enjoy exploring the different levels in the program’s self-guided mode ‘Quest’, and the gamified reward elements, such as the prize wheel, earning credits to redeem items for their avatar, and seeing their name on the leaderboards. LiteracyPlanet has all the aspects we need. We like the wide range of tasks and the fact that teachers can allocate tasks in groups or individually based on need. The game approach means pupils learn without realising. My students enjoy being assigned tasks in LiteracyPlanet, and the games really help to engage them with their learning. Some pupils find learning difficult or are not focused, but the game approach means they learn without realising. The wide range of tasks per Year Group and the fact that you can preset pupils' access to the content that best suits their needs works well.